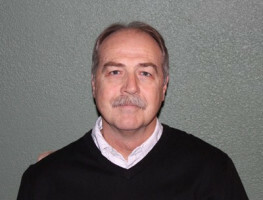 Steve Hammer has served Impact Christian Church as Lead Pastor since June of 2009. He previously served churches in Pleasant Hill, Oroville, and Riverside California and in Glendale, Arizona. He and his wife Jill have been married since June of 1978. They have 2 grown daughters: Angela and Bethany; two sons (by marriage): Ryan and Jeremy; and 5 nearly perfect grandchildren. Their third daughter Cayla, passed away at age 4 ½ from a chronic blood disease. Steve is a graduate of San Jose Bible College (now William Jessup University) and has done graduate work at Hope International University. 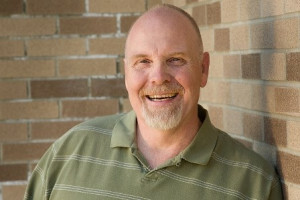 Bill Balbach has served impact Christian Church since May of 2001. 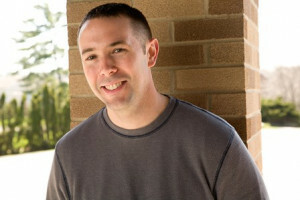 He began as the Director of Student Ministries. Over the years, Bill has gone through several role transitions from Involvement Minister to Associate Pastor and to his current role as Associate Pastor. One of his smartest life decisions was when he married Shelly in June 2001. They have three sons. 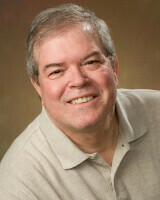 Bill is a graduate of Cincinnati Christian University and has a Master’s Degree from the same university. Dale has been a member of Impact since 1977. This was the beginning of his Christian walk. Since then he has been serving the Lord in many capacities and has been active in the Music Ministry for most of this time. Dale and his wife, Sandy, were married at Impact in 1978 and have 2 adult sons, Tyler and Todd. Seth Vogler joined Impact in April 2016 as Online Campus Pastor. He has worked as an art teacher and also worked in various capacities with Apple Inc. He is a graduate of Kutztown University. Seth and his wife Chrissy have 3 kids -- Luke, Norah, and Isaac. Jim has been a member at Impact for over 30 years and has served in various ministries throughout the years including most recently as an elder. He has been married to his beautiful wife Patty for over 40 years and his family includes two married children Ben and Jennifer and four unique grandchildren whose families both serve in ministry. Jim and Patty have lived in Denver and Germany (military), but have always called Pittsburgh home. Jim enjoys sports and playing ping pong. Jim is a 2001 graduate of Geneva College and has a passion for helping those who have lost their way emotionally and spiritually in finding peace through Christ. Jim leads our Pastoral Care Ministry. Niki Funk has been a member at Impact since 2007 and has been active in the music ministry since that time. 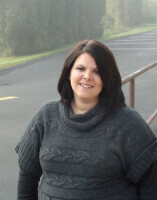 She is a 2006 graduate of Clarion University with a B.A. in Psychology. Niki married her husband Greg 3 weeks after graduating college and now has 3 beautiful kids: Riley, Jesse, and Josie. 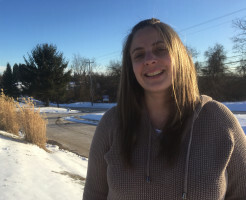 Previously Niki has worked as a drug and alcohol counselor and is excited to see the ways that God will bring healing to those who are hurting in our congregation and in our community. Chad Marinelli has served at Impact Christian Church as the Student Ministry Director since May of 2014. He previously served in various capacities at churches in New Castle, Industry, and Erie, Pennsylvania. 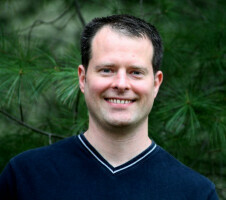 He also has an engineering career, specializing in supply chain and logistics modeling. He and his wife Janet had a Y2K wedding. They have three adventurous boys: Michael, Gabriel, and Jesse. Chad is a graduate of Grove City College (B.S. ), Youngstown State University (M.S. ), and Master’s International School of Divinity (M.Min). Abbi has been a member of Impact since 2014, and joined the team as the Interim Kids Coordinator in 2017. She has served in various capacities in children’s ministry over the last 18 years. Abbi has been married to her high school sweetheart, Adam, since 1995, and they have two daughters, Ainsley & Kelsey, and in 2017 welcomed their son-in-law, Mitch to the family. The family has lived in many places, including Mississippi, Arkansas, North Carolina, & Chicago before finally calling Moon Township, PA home in 2014. Abbi graduated from Queens University of Charlotte in 2006, where she began working as an Emergency Room RN. She has also been teaching high school classes in various private institutions over the last eight years. Judy Littell has been lucky to be on staff at Impact Christian Church since September of 2000. She has been even luckier to be married to Denny for over 30 years. She has four grown and successful children: Matt, Ben, Mark and Vicki. 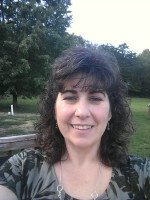 She has been a member of Impact since 1988 and has enjoyed serving in many capacities over the years. 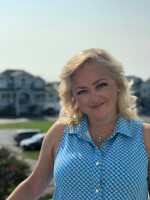 Michele (Missy) Harris has been a member of Impact Christian Church since moving to the area shortly after graduation from Penn State University in 1991. She married her college sweetheart, Bill, the following year and they now have 3 grown children: Shelby, Billy and Sydney. 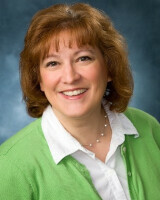 She has been involved in many ministries over the years and is now serving as the Hospitality Manager @ The Landing. Lisa and her family have been attending Impact since 2014. Lisa loves serving God and people. Her hope is to be a Godly mother, wife, and friend. She married her husband Roy in 1990 and they have three wonderful sons: Roy III, Matthew, and David. Lisa's greatest joy is being together as a family and using their individual talents in serving God together. Gina and her family have been attending Impact since 2014. Gina and Ken have been married since 1997 and have two sons -- Alex and Davis. In her spare time, she enjoys to cook/bake, volunteer in outreach events, and spend time with her family. Amos has served at Impact for over 10 years as custodian. Most of his work history is in the construction trades. Amos said that his wife, Terri, and daughter, Cassidy, are the brave girls who put up with him and are his most cherished gifts. "Along with the members of this church who have treated me like one of the family, I would also like to say thank you to my parents who taught me the value of kindness."